The thriving market town developed around the castle, and 17th century church records document a wide variety of trades, including shoemakers, textile dealers, tanners, hatters, blacksmiths, saddlers, carpenters, joiners and tailors. The town retains many historic properties and listed buildings. There are some fine examples of Victorian shops in the town. Wine merchants D. Byrne and Co. have been trading here for more than 130 years and the shop is fascinating. With its towering shelves and a warren of underground cellars it is well worth a visit, even for the teetotaller! The Victorian premises of the Exchange Coffee Company on Wellgate are equally atmospheric, and a former Methodist chapel, now the Emporium shop and bistro is worth a visit at Moor Lane. Why not visit The Original Famous Sausage Shop. 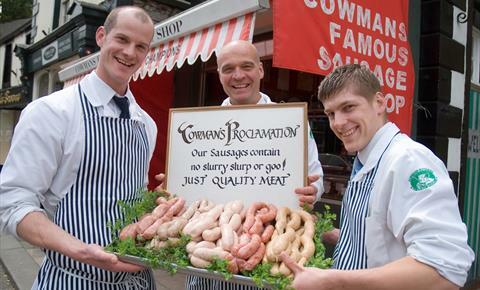 Where you are able to choose from any or all of the 60 different varieties – all made up to the quality you’d expect from a quality, traditional butcher. 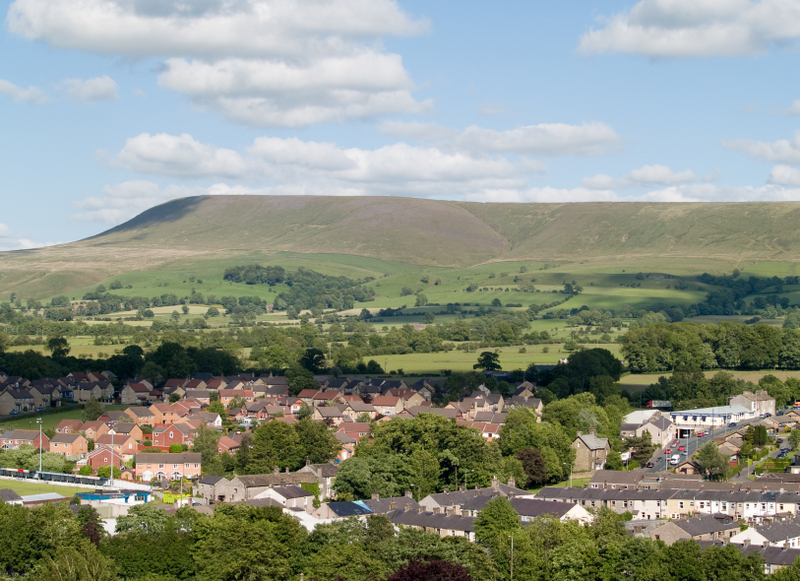 Why not hire a car from Easirent Blackburn and spend some quality time discovering Clitheroe and the gorgeous Ribble Valley.